Daily supply work will range from one day requirements to bookings that can run for a number of weeks. You might be in one school or a number of schools and will generally be covering staff sickness, non-contact time and differing types of planned staff absence. We also offer a ‘Secure Guaranteed Pay’ scheme, learn more by following the link below. We generally class any assignment over six weeks as a long-term role. Over 70% of our placements are for this type of position and often exist to provide schools with cover for maternity, long-term staff sickness, unfilled vacancies and on going specialist interventions. A significant number of teachers and learning support staff will register with the intention of finding a permanent job immediately or at some point in the future. 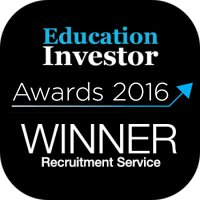 When supporting you to find a permanent role we will assist in ensuring you have the best possible chance of making a school’s shortlist. We will help maximise your chances of securing the perfect job – supporting you from interview or trial day preparation to negotiating your payment terms. iday is the smart way to find the ideal teaching position. iday matches hundreds of young teachers from the UK and overseas, with hundreds of vacancies in UK schools. Through multiple face-to-face interviews, all in one place, on one day, it’s a remarkably effortless way for the right teachers to click with the right schools. What is iday? 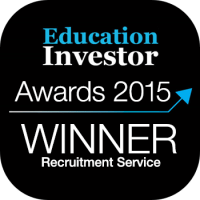 Created by Engage Education and run by our global team, iday is a revolution in teacher recruitment…. Learn more about how you can start your teaching journey below. Check out our blog for teaching tips, insights and education news! Register with Engage today to get our newsletter, job alerts and cool stuff.